An Inverter AC adapts its speed depending on the heat load in the room. Unlike the regular Split ACs, The Inverter Air conditioners have shifting speed motors that adjust their speed according to the requirement. So, it is obvious that they consume 30- 40% less electricity. Below we will be guiding you on best Inverter AC in India 2019 and provided a complete review of energy saving and low noise best ac in India. 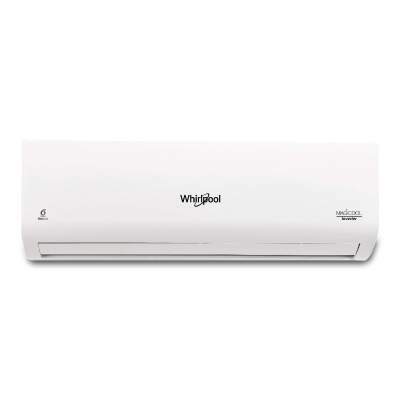 There are many best air conditioner brand in India and each brand is having their unique features with different prices. It is important to know a few key features and select the best air conditioner from top ac brands in India. Below we have defined certain pointers which will help you to take right decision to select the best AC. We have listed down top 10 inverter ac in India. How to select the correct AC size : Here, ‘ton’ refers to the amount of heat removed by the air conditioner in one hour. The amount of heat removed is measured in British Thermal Units (BTU). Hence, higher the BTU, greater will be the cooling capacity, which means the AC will be able to cool a larger area. BEE Ratings: This star rating is provided for customer awareness by BEE (Bureau of Energy Efficiency.) EER stands for Energy Efficiency Ratio. BEE rating depends on EER, higher EER will have higher BEE rating or higher number of star in BEE rating will have greater EER. So 5 star will have higher EER and less consumption of electricity, while 3 star ratings ACs are cheaper in price but consumes more electricity. Air Quality: Indoor air quality is very important while deploying ACs at home; hence AC with a good filter is extremely important to improve indoor air quality. 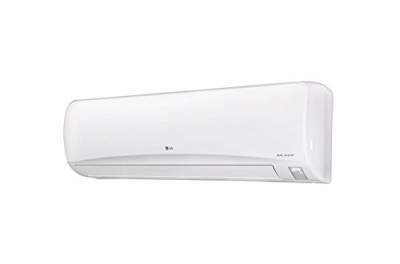 LG is one of the best air conditioner brand in India. This unit has Dual Inverter Compressor, this ensures that our dual inverter acs cool faster, last longer and run quieter. Energy rating is 5 Star. It is best in class efficiency. It is one of the best ac in India. Special ocean black protection applied to both indoor & outdoor unit provides exceptional durability for the air conditioner in typical Indian regions affected from sand, salt, industrial smoke & pollutants. As compared to the normal dehumidification mode in other air conditioners, the monsoon comfort technology prevents overcooling and saves energy up to 36.4% . This is another model with the almost similar set of features with 3-star rating, so energy saving will be lesser than the above model. This is one of the best unit from Daikin, it comes with 1.5 ton capacity and 4 star rating. Econo Mode – It is useful when using the air-conditioner and other electrical devices simultaneously on a shared electrical circuit. This mode helps you in reducing your electricity bills. Stabilizer Inside – The machine auto detects the error and shows the related code on the remote screen. Indoor Unit Quiet Operation – With Stabilizer free function, Daikin Air-conditioners can be protected within the range of 161 V to 264 V.
Coanda Airflow – It gives you the best air-conditioning experience. The powerful air draft does not fall on your head directly, but it is steered upward letting air circulate into the corners of the room creating a comfortable ambiance. Special Features – Pm2.5_Filter, Stabilizer Inside. Refrigerant gas – R32. Environment-friendly – no ozone depletion potential and low global warming potential. Blue star is the best air conditioner brand in India and this unit comes in the list of the top 10 inverter ac in India. Size and performance – Blue star ac comes with the latest feature with 1.5 ton capacity and 5 star rating. It is large size AC which is high on performance and low on energy consumption. Precision Cooling Technology (PCT) – It has advanced microprocessor-based controls, that is programmed to quickly and precisely maintain the room temperature. You will feel perfectly comfortable in indoor room conditions and you can enjoy comfort cooling even during extreme weather. Healthy air – Cold Plasma The inbuilt Cold Plasma Technology generates a natural bioclimate which is rich in active positive and negative ions of hydrogen and oxygen. Additionally, these bonded particles increase in size, and easily get trapped in the air conditioner’s filters, leaving you with purified air to breathe. Better cooling – Automatic 4D Swing Blue Star’s Automatic 4D swing is designed with a motorized horizontal as well as vertical swing utility that ensures you enjoy uniform cooling across the room through the omnidirectional air blowing. Copper Condenser and long AC life – Special Anti-Corrosive Blue Fins are used in the copper condenser to resist its corrosion thus increasing the AC’s life. Voltas is Best AC brand in India and provides very good product and services. This is one of the best unit comes with 1.5 ton capacity and 4 star rating with a reasonable price. Check out key features from Voltas ac review details. Healthy Air – 4 Stage Filtration Advantage – Removes allergens odours and other harmful particles to give you cool and fresh air. Better Cooling – It gives you instant cooling even at 52⁰ C, Turbo mode cools the room instantly. It maintains a comfortable temperature by cutting excessive cooling and power consumption, so you sleep comfortably all night. Senses the indoor humidity and controls it in the monsoon. Efficient compressor – It has Steady Cool Compressor. Is is unique energy efficient compressor provides steady cooling and steady savings. 100 % Copper condenser coil is more durable & delivers efficient cooling. No fluctuations – Smooth operation under wide voltage fluctuations from 150V – 270V. Special features – Silver ion, inner grooved, LED display, self diagnosis, anti fungal, auto restart. It has an innovative design that helps in cooling the temperature more efficiently. It comes with 4 star rating and 1.5 ton capacity. It is suitable for medium-sized rooms. Special features – Stabilizer free operation, Auto restart, follow me functionality, sleep mode, PM 2.5 filter. The outdoor unit uses newly designed hybrid technology. It uses air and low-temperature refrigerant to cool the outdoor E-Box efficiently. It improves the product performance at a high ambient temperature of 55 degrees. Low Voltage operation – It never gets interrupted even at a low voltage of 195V at a high ambient temperature of 55 degrees. This is the best unit from Whirlpool comes with 1.5 ton capacity and 3 star rating. The best energy saving inverter ac. Lower noise inverter AC as compared to other ACs. 6th Sense Inverter Technology – It continuously monitors the room temperature and constantly regulates the cooling to ensure optimum comfort. It cools Even at 52° C, the compressor optimizes peak hour performance to deliver maximum cooling even in extreme temperatures of up to 52° C.
Warranty – 1 year on the product, 10 years on compressor. The latest features and technology make this Voltas 183V JZJ Split AC a lovely addition to your living space. It comes with 1.5 Ton Capacity, it is suitable for medium sized rooms- 121 to 179 sq ft.
Smart Technology – This unit enables you to detect the cause of any malfunctioning in the unit for easy servicing. With a rating of Inverter 3 Star, this eco-friendly AC consumes less power and saves energy. Special features – Auto restart, Sleep mode, LCD remote, Timer. That is all our Best Inverter AC In India 2019. We have provided all important details about top 10 inverter ac from the best air conditioner brand in India. We have considered those points/criteria, user feedback and price tag of the product to prepare this list. There are different ranges of Best AC in India are available above and you can choose the one which fits in your budget and needs.